The ultimate POD system vape starter is here with the Envii FITT Ultra Portable Pod Starter Kit. 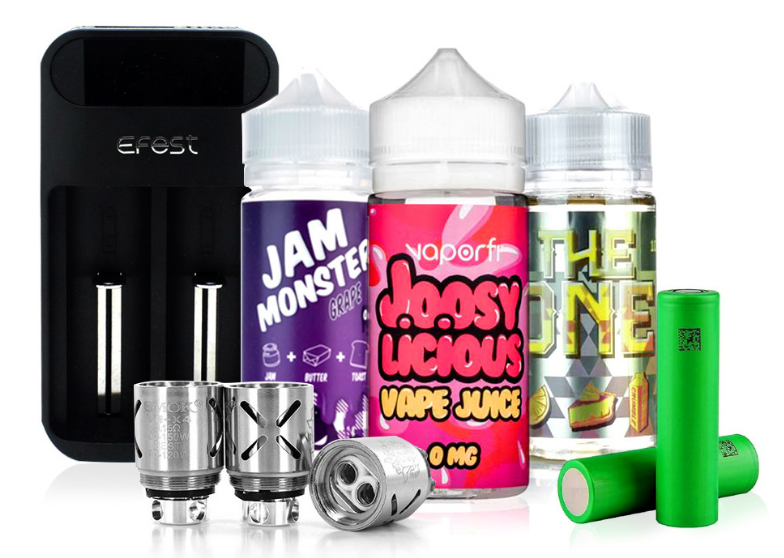 This amazing all inclusive vape starter features the first dual auto draw and button activated draw system that allows the vaper greater control over their vaping experience. The ENVII Fitt features a 3.2mL POD that can be refilled with any e-liquid the vaper desires. This travel ready vape starter also features an internal 650mAh battery that will last longer stretches due to it's highly efficient firing system. The ENVII FITT provides an LED display that will provide battery life information that can be deactivated in stealth mode. This shorter profile device is the ideal make the switch device that is an incredible on the go device. Be sure to get your Envii FITT Ultra Portable Pod System Starter Kit today! This was my first experience with a Pod system and was really happy with it! It's a great item for busy folk like me, works great for an all-day out of the house mod. Lots of performance, little maintenance or need to mess with it. Goes all day long and is easy to use, perfectly. I have used lots of different mods, lots of things for vaping, but the more time that passes, the more I find that simpler is better. I would recommend this Pod Mod.